Miquel was spotted playing for Clapton as a young 18 year old striker and was signed by League side Charlton Athletic in July 1989. He failed to make the first team squad, and was released the following summer, joining Bristol City. He was again released after just four months, and dropped down to non-league football with Bashley, Dorchester Town, Yeovil Town and Dagenham & Redbridge over the next three years. On 1 February 1994, he signed for Birmingham City for a £25,000 fee and went on to make 18 appearances before going out on a two-month loan spell with Bury in November 1994. He was recalled on 27 January 1995 in order to complete a £100,000 move to Wycombe Wanderers, where he had a prolific spell scoring 33 goals in some 98 games. Peterborough United manager Barry Fry paid £50,000 for his services on 26 March 1997 in an effort to avoid relegation, but two goals in eight games failed to halt them from the drop. Although he became their first choice striker the following season, injury early in the campaign saw him struggle to get back into the first team, and the majority of his appearances were off the bench. 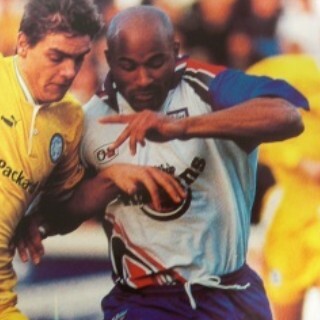 He went on a one month loan to Southend United in August 1998, and then for another month to Rochdale in October 1998, before joining Diamonds on 11 December 1998, in an exchange deal that took Ritchie Hanlon to London Road. Miquel scored after just 38 minutes on his Diamonds debut at Telford on 12 December 1998 and went on to score 10 goals in 31 appearances that season. The following season, the arrival of David Town to partner Darren Collins meant he spent a lot of time on the bench. His last goal for Diamonds was a memorable effort in a 1-0 win at Doncaster Rovers in February, but he was eventually released in May 2000, joining Boston United on 1 June. 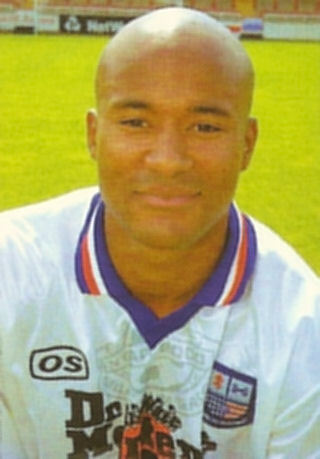 His time at Boston was relatively short and he went out on loan to Farnborough in September 2000, before making a permanent move on 17 January 2001 for a four figure sum. The following season, he helped them to Southern League success, while also studying for a degree in Sports Science. He joined St.Albans City in August 2002, and later became a coach with the Saints. He left in November 2004 after some 28 goals in 104 appearances, joining Boreham Wood before a brief spell with Dulwich Hamlet at the start of the following season. He signed for Wealdstone in February 2006, where he finished his playing career. He remained in football, coaching Chesham United Ladies, before becoming a coach with QPR Ladies in the summer of 2008. He spent six years coaching in the Leyton Orient Academy before a move to become the Charlton Athletic Academy Recruitment Manager – now known as Miguel DeSouza.